The following was originally published on https://edtechbooks.org/-kz. Today, the field is fascinated with the instructional possibilities presented by the computer as a medium of communication and as a tool for integrating a variety of media into a single piece of instruction. Video has replaced the educational film, and television can be two-way and interactive. At the turn of this century a number of technological inventions and developments were made that provided new, and in some cases, more efficient means of communication. In the 1920s, the motion picture passed through the stage of being a mere curiosity to a serious medium of expression, paralleling live theater. Its usefulness and influence on learning was explored. This educational research continued into the 1930s, when new instructional projects such as teaching by radio were implemented. Within 20 years both film and radio became pervasive communication systems, providing both entertainment and information to the average citizen. The advent of World War II created many demands for a new skilled workforce. Media took a prominent place in educational and training systems attempting to fill such needs, and much research centered on the use of these media in a wide variety of teaching and learning situations. Media were among the innovations that made possible the changes and growth in the industrial complex that were so essential to the defense of the western world. After the war, schools and industry alike attempted to settle back into the old, familiar methods of operation. Within a few years, however, the increase in the birth rate and public school enrollment forced a re-evaluation of the older and slower approaches to education. Again, media were employed, this time to upgrade the curriculum of the public schools. With the late 1940s and early 1950s came considerable experimentation with television as an instructional tool. Industry was expanding and began to develop its own in-house educational systems. Simultaneously, a search was begun for more efficient and effective means by which such education could be accomplished. Concurrent with the introduction and development of the study of instructional media, the notion of a science of instruction was evolving. The educational psychologists provided a theoretical foundation which focused on those variables which influenced learning and instruction. The nature of the learner and the learning process took precedence over the nature of the delivery media. Some of the early audiovisual professionals referred to the work of Watson, Thorndike, Guthrie, Tolman, and Hull. But it was not until the appearance of Skinner’s (1954) work with teaching machines and programmed learning that professionals in the field felt that they had a psychological base. Skinner’s work in behavioral psychology, popularized by Mager (1961), brought a new and apparently more respectable rationale for the field. Lumsdaine (1964) illustrated the relationship of behavioral psychology to the field, and Wiman and Meierhenry (1969) edited the first major work that summarized the relationship of learning psychology to the emerging field of instructional technology. Bruner (1966) offered new insights that eventually led to broader participation of cognitive psychologists like Glaser (1965) and Gagné (1985). Today, the field not only seems convinced of the importance of the various aspects of cognitive processing of information, but is placing new emphasis upon the role of instructional context, and the unique perceptions and views of the individual learner. Perhaps one of the most profound changes in instructional technology has come in the expansion of the arenas in which it is typically practiced. From its beginnings in elementary and secondary education, the field was later heavily influenced by military training, adult education, post-secondary education, and much of today’s activity is in the area of private sector employee training. Consequently, there is increased concentration on issues such as organizational change, performance improvement, school reform, and cost benefits. Use of the principles, products, and procedures of instructional technology, however, continue to be vital to school effectiveness, especially in times of school restructuring. In addition, the new technologies and new delivery media offer expanded ways of meeting the special needs of learners and schools. Instructional technology, and instructional design procedures in particular, are also becoming more common in health care education, training, and non-formal educational settings. Each of these instructional contexts highlight the diverse needs of learners of many ages and interests, and of organizations with many goals. The many settings also provide laboratories for experimenting with and perfecting the use of the new technologies. However, the disparate contexts also highlight a wide range of organizational, cultural, and personal values and attitudes. Cultures vary among the different communities, creating new issues and possibilities for new avenues of disciplinary growth and development. The historical context which has surrounded the development of the field has implications that reach beyond the actual events themselves. This is equally true of the development of modern technology responsible for an increasing number of new media and new uses for existing media. Such developments have redirected the energies of many people, causing today’s society to be much broader and richer than was ever contemplated in the early 1900s. Prior to the twentieth century, the only formal means of widespread communication was the printing press. The technological developments since then have provided many different modes of expression, enabling ideas, concepts, and information gained from experience to be conveyed in ways and with contextual richness never before possible. The unique means of expression that have expanded with each new medium have added new dimensions through which creative talents can be applied. 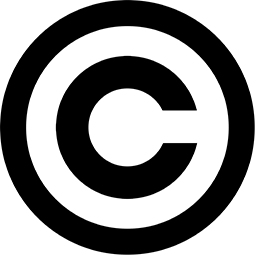 For example, the photographic and cinematographic media have long been accepted as legitimate avenues for creative work in the arts, and television has provided new avenues for expanding views of society. Still photography, motion picture photography, television, and the computer have proved to be excellent tools for a variety of academic endeavors. Historians consider film coverage of public events to be important primary documentation. Psychologists now use film, computers, and interactive video to control experiences and to collect data on a wide variety of problems in human behavior. Medical researchers employ both color photography and color television in their studies. In fact, it would be difficult for modern scholars to maintain a position of leadership in their fields of investigation without the assistance from media that present day technology makes possible. Further, the future of humanity’s understanding of the universe and the pursuit of greater self knowledge depends upon increasingly sophisticated applications and utilizations of these technologies. Alternative modes for teaching and learning are most important in today’s educational environment. Opportunities for self-directed learning should be provided by institutions of higher education. Other forms of alternative teaching and learning patterns which require increased student involvement and higher levels of learning (application, synthesis, evaluation) also rely upon media as an invaluable tool in the preparation of students. Teaching and communication, though not synonymous, are related. Much of what the teacher does involves communication. From the spoken word to the viewing of the real world, directly or by means of some technological invention, communication permeates instructional activities. Media, materials, and interactive technologies, though not the exclusive ingredients in learning, are an integral part of almost every learning experience. The raw materials for scholarship increasingly reside in these means. The scholarly experiences for the student can often be afforded only through these options. The young scholar, the college student, is a deprived scholar without access to these learning tools. The scholar must have available all that modern technology can provide. Media, materials, and interactive technologies have a crucial role to play in any teacher education program if that program hopes to meet the needs of our dynamic, sophisticated world. Think about the technology you are surrounded by every day (e.g. smartphones, tablets, digital assistants, wearable technology, VR/AR, etc.). Discuss how one or two of these technologies can be used in the field of instructional design or how they could have a future impact in the field. "AECT has become a major organization for those actively involved in the design of instruction and the development of a systematic approach to learning. It provides an international forum for the dissemination and exchange of ideas among its members and target audiences; it is the national and international advocate for the improvement of instruction; and it is the most widely recognized source of information concerning a wide range of instructional and educational technology. 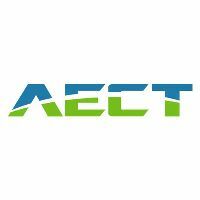 AECT and its members have numerous state and international affiliates, all of which are passionate about finding better ways to help people learn. AECT is the oldest professional home for this topic and continues to maintain a central position in the field, promoting high standards of scholarship and practice. AECT has 10 divisions and a Graduate Student Assembly that span the breadth and depth of the field. The association produces two print bimonthly journals, Educational Technology Research and Development and TechTrends, and three electronic journals, Journal of Formative Design in Learning, The Journal of Applied Instructional Design, and International Journal of Designs for Learning."